Get An Edge Over Urea Formaldehyde! 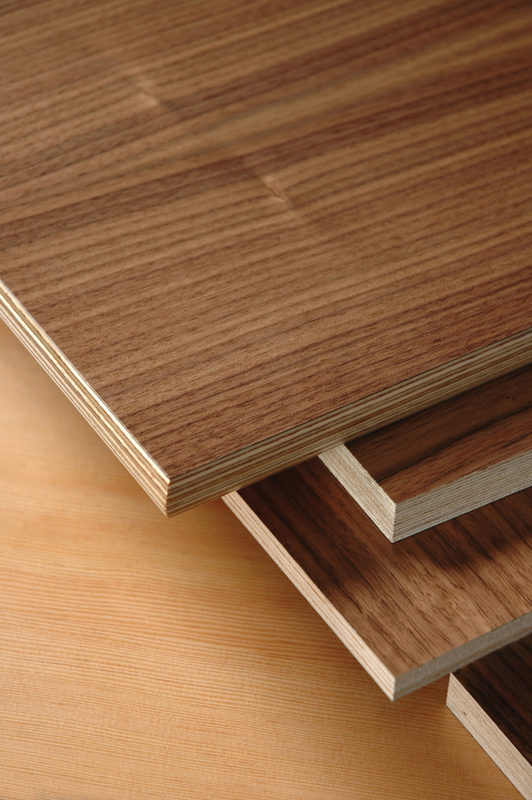 Introducing Europly PLUS®, Columbia Forest Products’ premium veneer core panel with a visually striking eurostyle edge. Featuring urea formaldehyde-free technology, this core construction from Columbia is CARB exempt and meets phase 2 formaldehyde emission limits while contributing to LEED® building credits. Europly PLUS can be specified as FSC® certified to establish a link with third-party certified forest management standards. Extremely uniform and practically void free, this all-birch hardwood core provides excellent physical properties for superior machinability and an exposed-edge detail favored in modern, green design. Europly PLUS is smart, visual and responsible. Columbia’s Europly PLUS panel assemblies raise the ante of quality in any furniture, millwork or cabinetry project where it can be incorporated for exceptional results. Add the decorative veneers of your choice, and from any angle, the look is a visually striking, premium panel where the edge competes with the face for beauty. And the beauty is not skin deep, because the no added urea formaldehyde construction goes to the core. Columbia Forest Products has provided fine decorative hardwood plywood veneer panels to North American fabricators for over 50 years. Columbia’s customers have grown to appreciate the widest product line in the industry from efficient, modern mills where exceptional service and product support are commonplace. Panel thicknesses include 1/4″, 1/2″, 5/8″, 3/4″ and 1″. Contact your Columbia representative for current availability. Europly PLUS offers a visually striking edge that designers and architects are demanding for a contemporary, natural appearance. Europly PLUS is a no added urea formaldehyde panel, compliant for use in LEED project work which calls for no added urea formaldehyde in lamination or core construction adhesives of interior composite panel products. This product is manufactured to the ANSI HP-1 Hardwood Plywood Standard and tests below 0.05ppm for formaldehyde emissions and contains no added urea formaldehyde. Europly Plus can be ordered FSC® certified to add a chain-of-custody trace to responsibly managed forestlands and contribute credit towards the MR 7 certified wood credit in LEED project work. For more information on FSC constructions, visit our FSC-Certified Wood page. Europly PLUS 1/2″ and 3/4″ constructions are typically available with short lead times. For other thicknesses, contact your Columbia sales representative. Europly PLUS provides a virtually void-free construction to help reduce reject rates. Its high-density construction offers great machinability and tremendous screw holding capacity. • Test samples were constructed with rotary maple face and back. • Test results for hardness can differ depending on density of decorative veneer. • Wood is natural and variable to a certain extent. • Test data is for informational purposes and does not represent a claim by Columbia that identical panel assemblies meet these properties in the field.